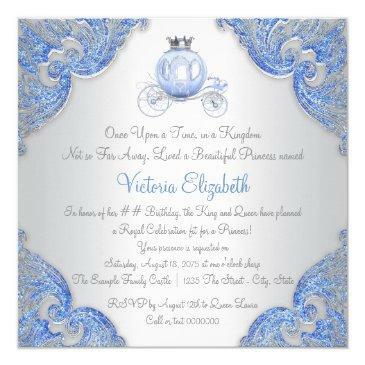 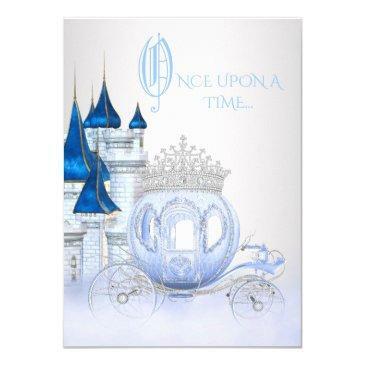 Cinderella birthday party invitation with beautiful dress, high heel shoes and tiara with a princess carriage on a light blue and silver swirl background. 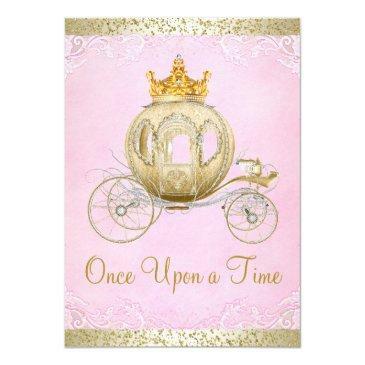 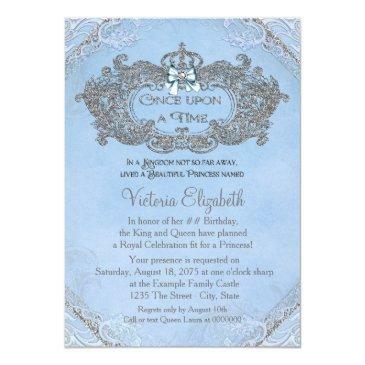 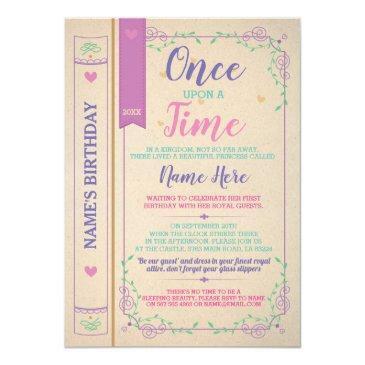 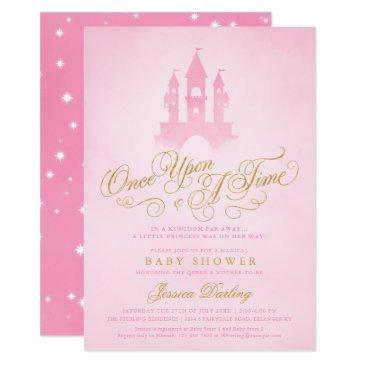 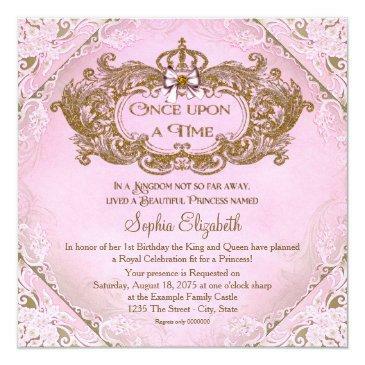 This beautiful girls any number Cinderella once upon a time princess birthday party invitation is easily customized for your event by simply adding your details in the font style and color, and wording of your choice. 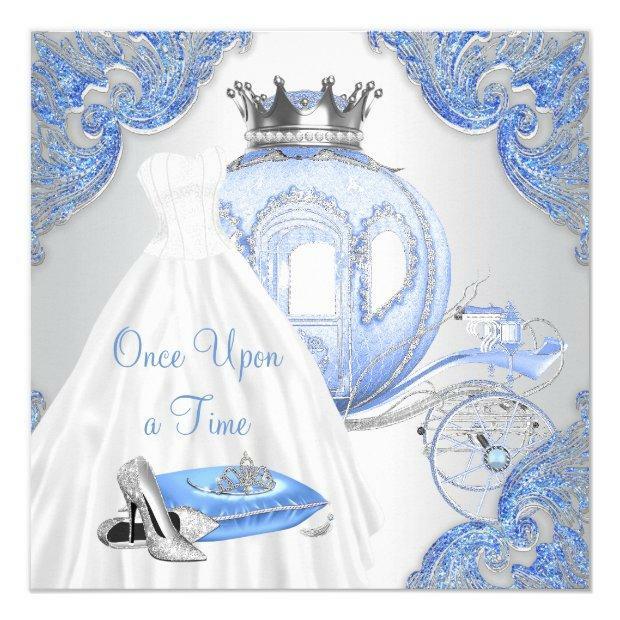 You can move the shoes and pillow, or delete them if you prefer. 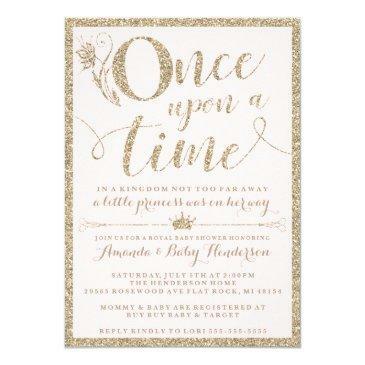 This is a printed design with no real glitter, diamonds, lace, etc.